While the Pittsburgh Steelers perhaps can’t boast of the same type of legacy of excellence at tight end that they do at other position areas, the services of Mark Bruener and Heath Miller did allow the franchise to enjoy (almost) two straight decades of high-level stability at tight end. 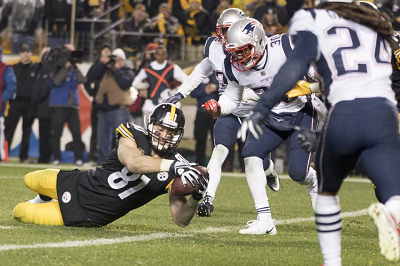 Tight end has been anything but stable for the Steelers since Heath Miller retired. 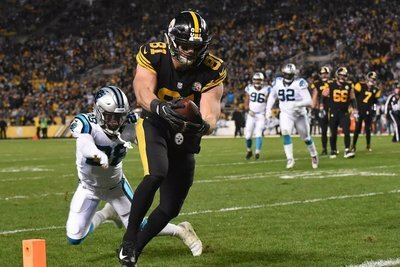 Whilethe Steelers tight ends ended 2017 on an up note, Pittsburgh has seen false starts at tight end in the last two years. In looking at the 2018 NFL Draft, the question the Steelers need to answer for themselves is, was the success they experienced at the end of 2017 is sustainable or just another Sisyphean attempt to replace Heath Miller’s legendary dependability. The Steelers have been full of suprises at tight end of late. 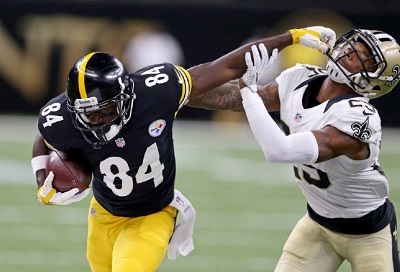 Last spring, after passing on drafting a tight end in a draft that was said to be deep at the position, the Steelers cut Ladarius Green a few weeks later. Then, at the end of training camp, they turned heads again by trading for Vance McDonald. 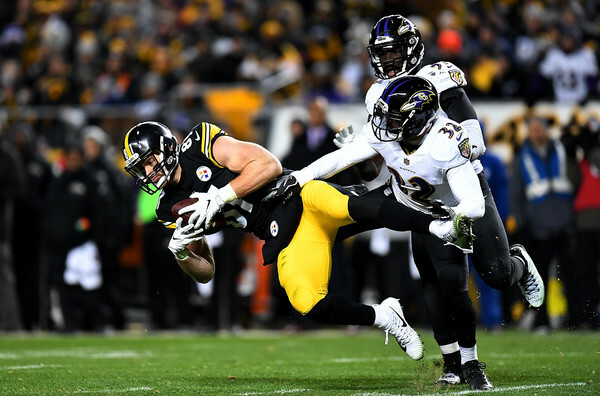 Vance McDonald took time to work his way into the Steelers offense, and injuries sidelined him for six games during various points in the season. But, by the year’s end, Vance McDonald was the undisputed starter. Early on word was the McDonald dropped too many passes in practice. 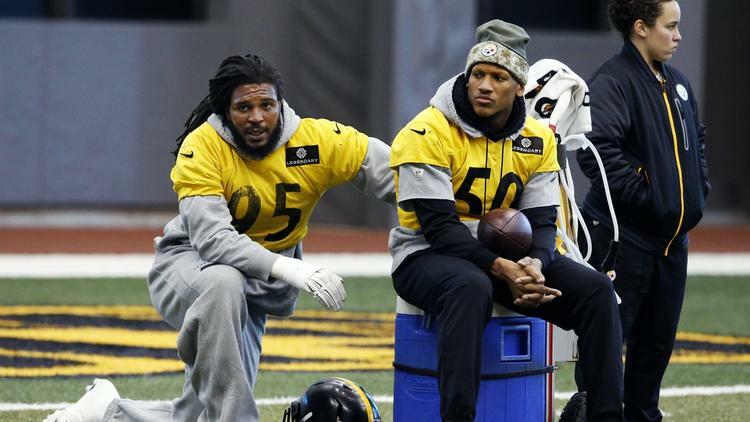 However, during the later half of the year, Vance McDonald and Ben Roethlisberger developed a strong rapport, and McDonald started coming up with the ball at critical times, including making 10 catches on 16 targets in the Steelers playoff loss to the Jaguars. By all accounts, the Vance McDonald trade was prompted by Jesse James’ lack luster training camp and preseason performance. Nonetheless, Jesse James had as strong 2017 campaign. He caught 68% of the passes thrown his way, and came up especially big (along with McDonald) in the Steelers last second win against the Ravens. Jesse James blocking still must improve, but he’s delivering solid value as a 2nd tight end. Behind Jesse James, the Steelers have Xavier Grimble, who completed his second year on the active roster after 2015 on the Steelers practice squad. In those two years Grimble has show himself to be a competent 3rd tight end, and an able receiver although he his blocking has not stood out. The Steelers have a solid starter at tight end, an excellent number 2 tight end and a serviceable number 3 tight end, so Pittsburgh set at the position heading into the 2018 NFL Draft right? Vance McDonald’s strong finish to 2017 was no mirage, but there’s a “but.” First, Vance McDonald’s injures cannot be ignored. In five years in the NFL, he has never appeared in 16 games. He’s also in the final year of his contract and will be free agent come March 2019. Jesse James doesn’t have the injury history, but he too will be a free agent next spring. 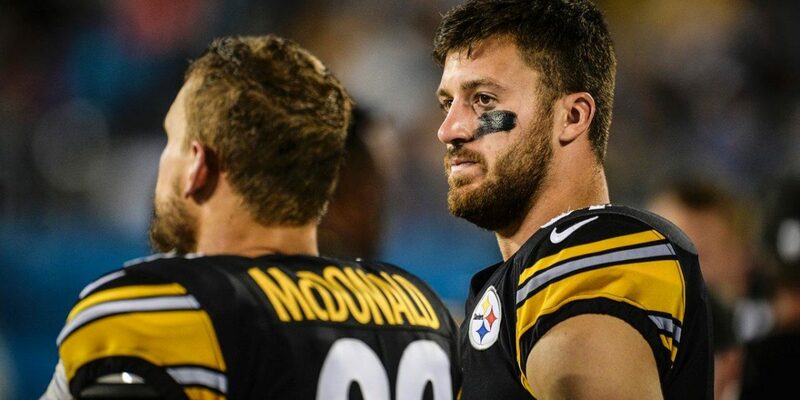 If Kevin Colbert and Mike Tomlin are confident that they can commit the cap space to ensure that McDonald and James stay in Pittsburgh for the next several seasons, there’s no real need to target tight end with a premium pick in the 2018 NFL Draft. The Steelers can certainly upgrade from Xavier Grimble for the third tight end slot, but a late round pick would arguably be better spent on adding depth elsewhere. The Steelers are an organization that likes to promote from within and the thinking here is that the team prefers and likely plans to keep McDonald and James in Black and Gold. 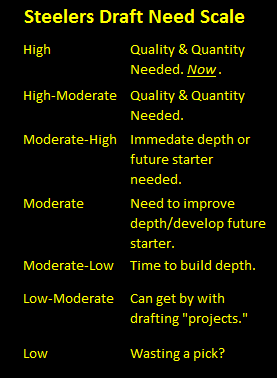 Therefore the Steelers 2018 tight end draft needs should be considered Moderate-Low.